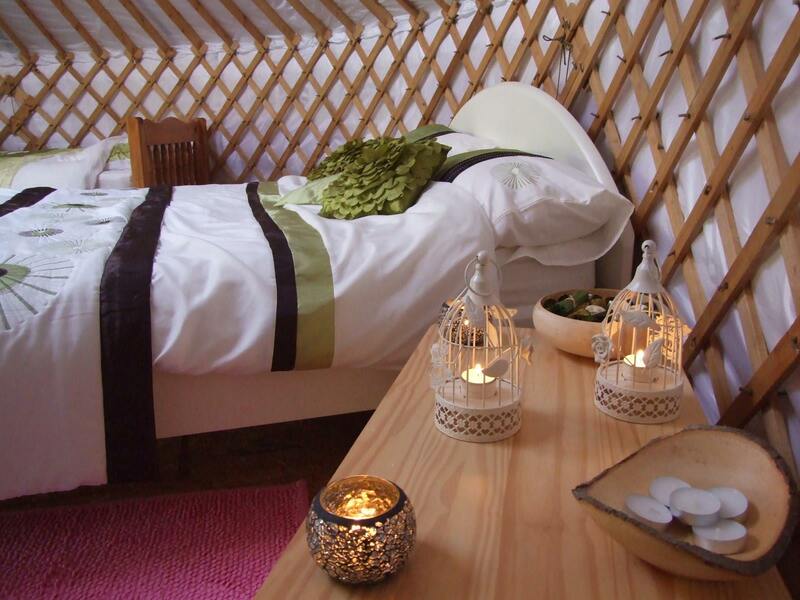 Lamorna Glamping in St. Buryan, Cornwall, offers luxury accommodation in 3 safari tents. Situated in an eight acre field and only a 20 minute stroll to Lamorna Cove, it's a truly idyllic holiday destination. Apart from the colour, all the tents are identical. Buttercup has a sunny yellow theme, Bluebell a soft blue them and Foxglove a blend of pinks and mauves. All the tents boast a fully equipped kitchen with a range of excellent appliances. A wood burner is available for heating. Each tent sleeps 6 people: 1 double, 1 twin and a double den which divides the living room from the twin room. 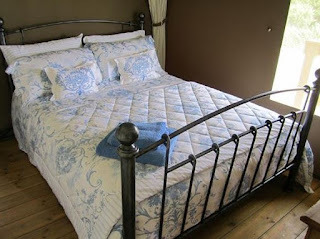 Beautiful bedding is provided, as well as lanterns, candles and even power sockets for modern convenience. A WC and shower room are also provided. Outside children can enjoy playing on the climbing frame and trampoline. A BBQ is provided for al fresco dining. Only a 15 minute drive away are stunning beaches, cliffside Minack Theatre, hidden coves, Land's End and the town of Penzance. Seatoller Farm is surrounded by beautiful woodland scenery, in the northern part of the Lake District National Park. 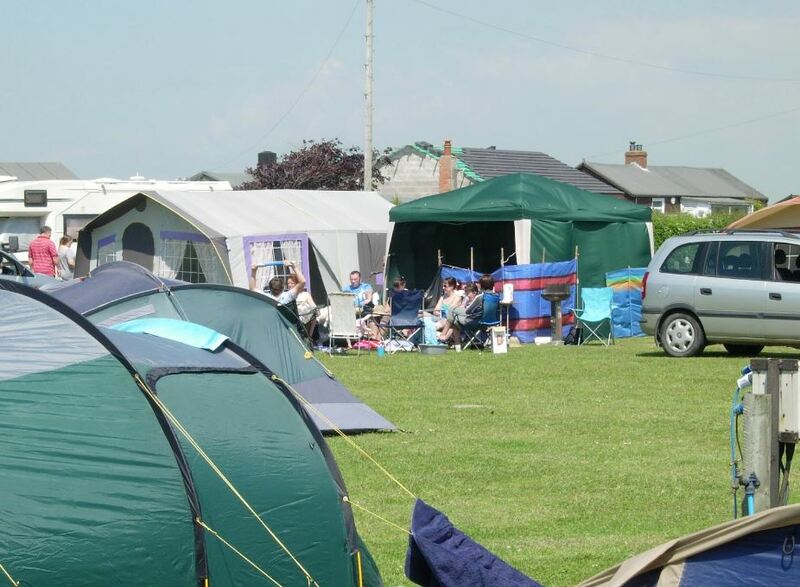 The campsite is 200 metres from the farm, in a quiet & picturesque part of Cumbria. The woodland surrounding our campsite is a Site of Special Scientific Interest. With space for about 70 tents, this campsite offers visitors a quiet, picturesque base to enjoy the numerous walks in some of the Lakes' highest mountains and gentle riverside strolls. The Cumbria Way, Coast to Coast and Allerdale Ramble routes are only a short distance away from this ideally located campsite. The farm is one of the closest campsites to the high fells of the Lake District and England’s highest mountain – Scafell Pike. During your stay you will find that there are plenty of places to visit, including Moot Hall, Keswick Boat Launch, Theatre by the Lake, Alhambra Cinema, Honister Slate Mine, The Altura Trail & many more. 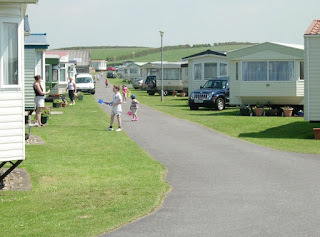 Spring Lea Caravan Park in Allonby, Cumbria, offers a wonderful holiday experience in a beautiful part of the country. This charming holiday park has 45 tent pitches available & is open from March until the end of October. The site offers a range of superb facilities, including a heated indoor leisure pool with adjoining toddler pool, a sauna & spa, a games room with pool tables and popular arcade games, and a bar/restaurant with live entertainment. There are many places to visit during your stay, including the Gincase Farm Park, Lake District Coast Aquarium, West Coast Karting, Wordsworth House and Garden & Jordans Jungle Fun House. 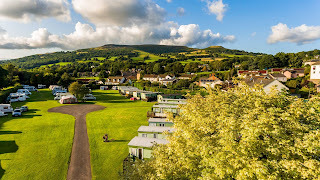 Riverside Caravan & Camping Park in Crickhowell, Powys, offers superb adults only facilities. Situated in glorious countryside on the edge of Crickhowell, it's the perfect base for exploring the local area. This superb campsite offers the perfect holiday experience whilst staying in a spectacular location. 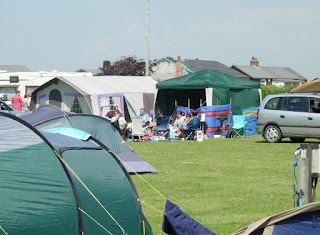 There are 20 tents and 25 pitches for caravans available. Within a few minutes’ walk from the park are several friendly pubs with good restaurants. There are many walks around Crickhowell and the surrounding countryside. Crickhowell is within easy reach of Table Mountain and the Brecon Beacons. With spectacular views of the Brecon Beacons and the Black Mountains, you cannot fail to enjoy this thriving market town, snuggled between the Black Mountains and the Brecon Beacons, it is arguably the most beautiful valley in the National Park. 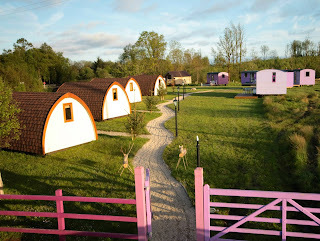 Pink Apple's Glamping Site provides unique and luxury accommodation located close to Drumkeeran. Within the county of Leitrim, the site overlooks Lough Allen and The Iron Mountains. There is various accommodation available including 3 yurts, a hobbit house, teepee & gypsy wagon. Five of the 6 accommodation pods now have electricity. The Celtic yurts can sleep up to 5 adults & all have unique, hand crafted, recycled furniture and wood burning stoves. 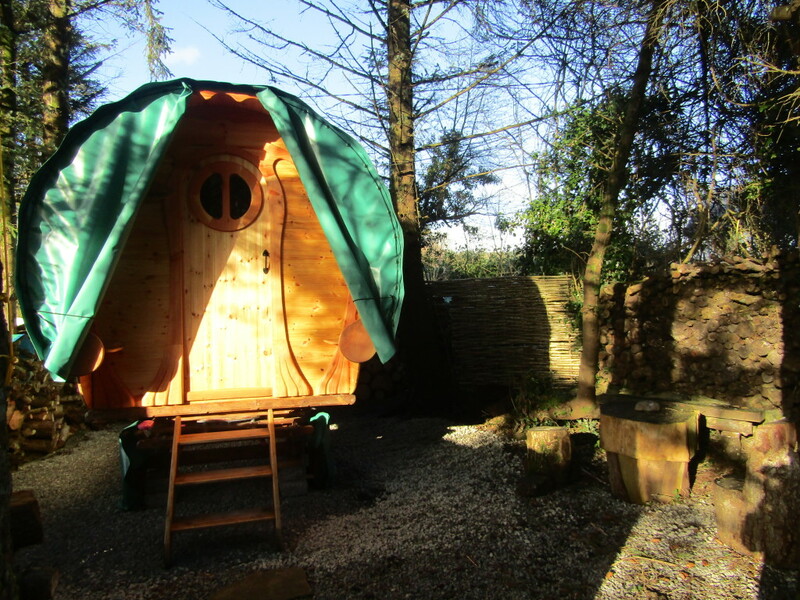 The hobbit house is the most spacious accommodation pod & also has a private eco toilet and shower. Woodman's Tweepee can accommodate couples or families with one child. The Bow Topped Gypsy Wagon is perfect for couples or small families. It also has a small electric stove, seating and outside area with BBQ. The site is set with an orchard planted by the owners overlooking Lough Allen. You can also take advantage of the outdoors by experiencing a guided Canadian Canoe tour or explore the surroundings by foot. Alternatively you can indulge in a holistic treatment which can be pre booked within 4 of the accommodation pods. 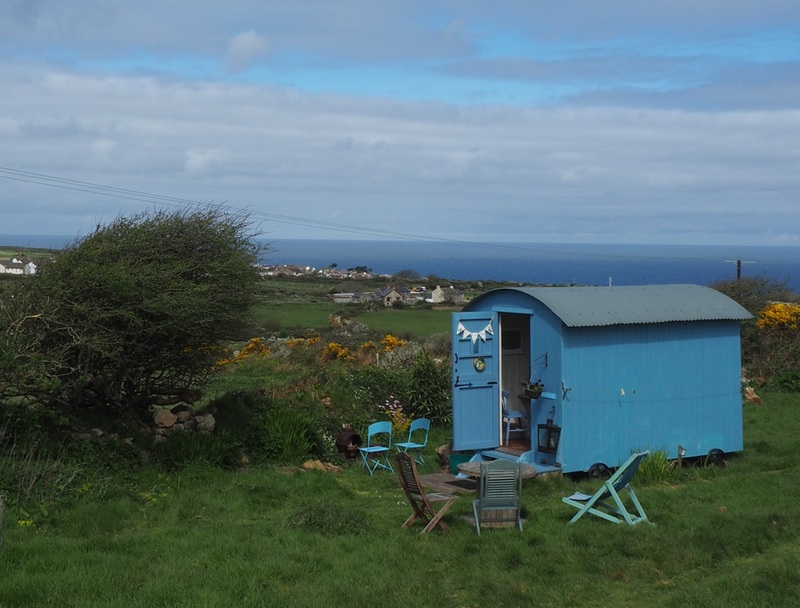 St Ives Shepherd Huts offer unique glamping accommodation situated at beautiful St Ives, Cornwall. The superb location is perfect for visiting the charming Cornish countryside, as well as its spectacular coastline. Stylish and comfortable; these artisan huts are perfect for surfers, adventures, romantic couples or anyone who loves the outdoors. The huts come with a double bed, and tea and coffee facilities, as well as a toaster. The interior of each hut is different, but they are all quirky and extremely cosy. The shared bathrooms are 50m away. There are two separate hot showers, washing sink and toilet. The pathway is lantern lit at night, so no trouble walking there any time of the day or night. Picturesque St. Ives offers great beaches, surf, art, coastal walks, vibrant atmosphere with loads of restaurants, bars and cafes. The campsite is secluded and surrounded by stunning scenery. Kata tents are also available. These have been handcrafted and include a wood burning stove, throws, cushions, solar powered lighting and camping essentials. There are lots of outdoor activities to enjoy in the area as well as a range of attractions to visit such as Drummond Castle, Loch Turret Reservoir and Auchingarrich Wildlife Park. Comrie has built a great reputation for mountain biking & hiking. You can climb 43 munros nearby, or walk some of the 87+ km of beautiful walks available. Book an Easter Holiday with The Camping Directory! Easter is almost here, so why not plan a staycation with your family? 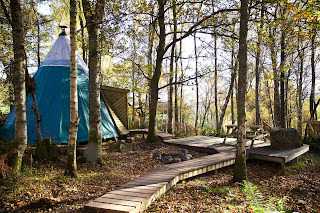 The Camping Directory is an online directory for campsites, holiday parks, glamping sites and touring parks across the UK and Ireland. By using the search options you can tailor the results to find your perfect outdoor holiday. Camping enables you to make some memories & spend some quality time with your family while getting back to basics. Many of the campsites we feature are in secluded areas, so you can sit back & relax while the kids have space to run around. Younger children will love discovering wildlife & experiencing the sights & sounds of nature, whereas older children can help gather firewood & enjoy toasting marshmallows after the sun sets. 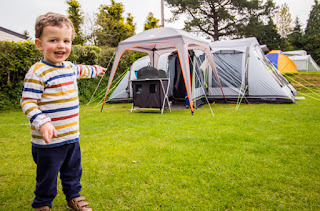 Many campsites close over winter & reopen at the start of spring with discounted rates, so it's also a great way to take the family away on a budget. 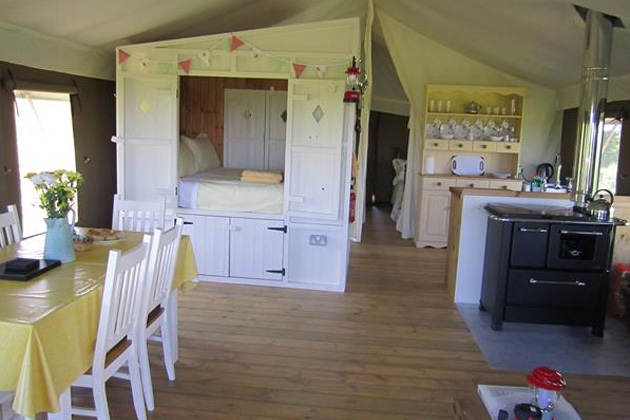 If taking the family camping seems a little daunting, why not try glamping instead? Glamping has seen a huge increase in popularity recently as you can have all the perks of camping without the stress – and with a few home comforts thrown in! 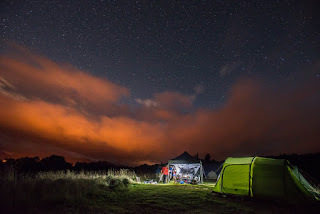 You don’t have to worry about setting up a tent or getting chilly if it rains, but you can still get close to nature & experience the laidback, friendly atmosphere that campsites are known for. 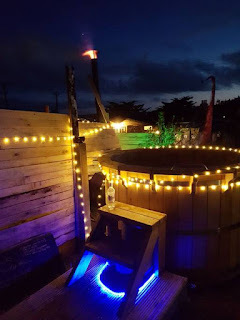 Many of the glamping sites on our website have wonderful extras like hot tubs which can add an element of luxury to your stay & make it even more memorable. We also feature a fabulous range of touring sites, as well as holiday parks across the UK & Ireland, with a wealth of different accommodation to suit your needs. 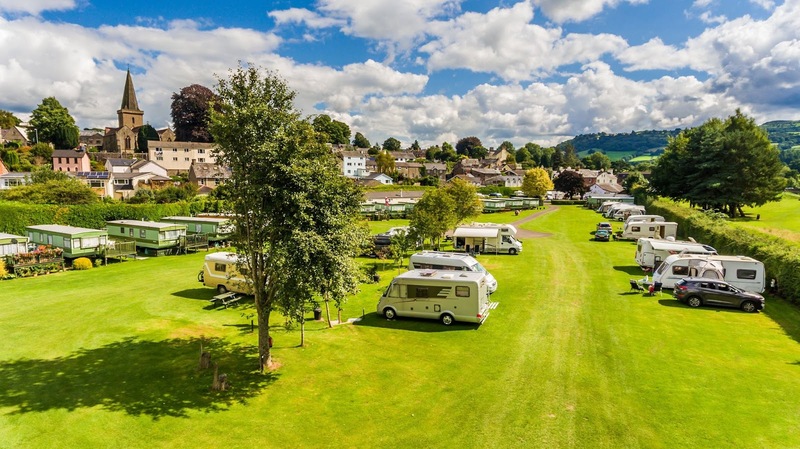 Take your caravan or motorhome, hire a lodge or chalet, and take advantage of the onsite facilities during your stay. Many of the parks we feature have caravans to purchase onsite, so if you fall in love with the area you can buy your own holiday home and make memories there for years to come! As well as having a fabulous selection of places to stay, we can also help you find all the bits & pieces you need to take with you! Whether you’re a first time camper buying your first tent, or a seasoned pro updating your camping equipment for the year ahead, our Business Directory can help. It features a wide range of companies selling everything you need to help make your camping or caravanning holiday as stress free as possible. You can find all sorts of things from pots & pans to caravans, and all link to the company website so you can contact them direct, ensuring you receive the best deal. We hope this has inspired you to start planning your break! You can also find The Camping Directory on Facebook, Twitter, Instagram and Pinterest where you can find lots more inspiration.